How much do Nets suites cost? Prices typically range from $2,750 -$5,000 for Brooklyn Nets suites. Prices will vary based on day of game, opponent, and the location of the suite. Barclays Center is one of the most popular venues for concerts. Suites for concerts at the Barclays Center will often times be more expensive than suites for the Nets. 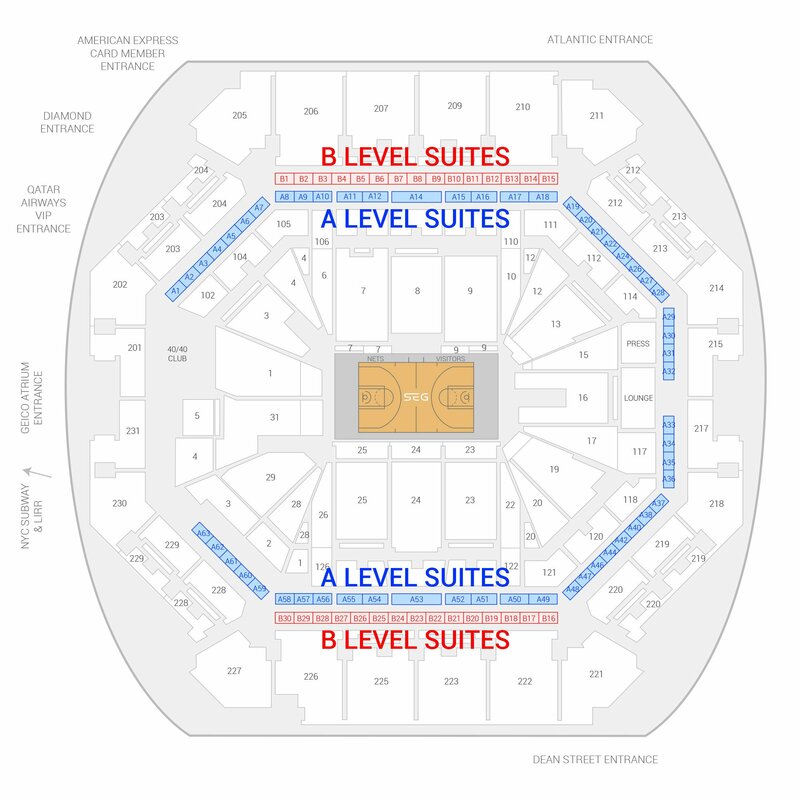 The A-Level suites at the Barclays Center are considered the lower suite level. An A-Level Loft suite can accommodate groups of up to 16 people, and has 7 plush seats in the balcony, 5 bar stools, and 2 leather arm chairs. Premium in-suite catering options can be ordered in advance to your event at an additional cost. A B-Level suite at the Barclays Center can accommodate groups of up to 16 people, and has 9 plush seats in the balcony, 3 bar stools, a leather couch, and a leather arm chair. Premium in-suite catering options can be ordered in advance at an additional cost. The B Level is the second level of suites at the Barclays Center and will only be sideline suites. Suite Experience Group helps customers all over the world to plan corporate and personal events at Barclays Center and many other stadiums. 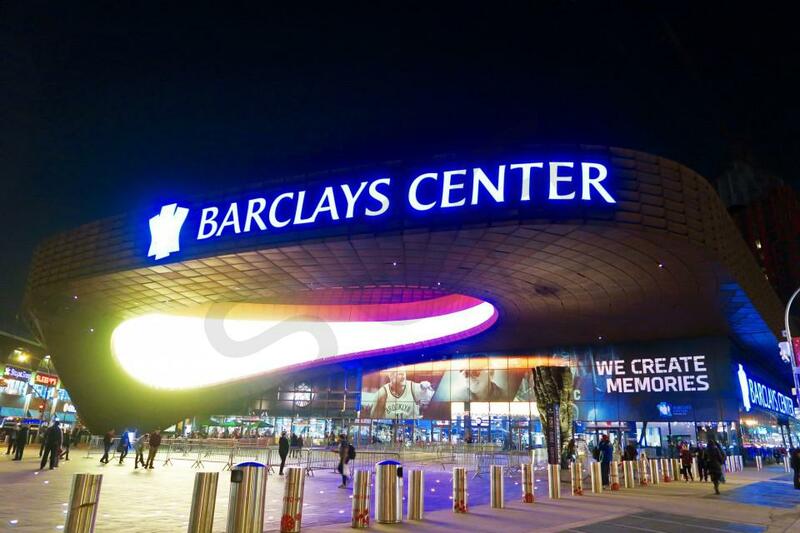 In this section we’ve compiled the key considerations when planning an event at Barclays Center. All suite ticket holders are welcome to enter Barclays Center through any gate, but have VIP access via The Calvin Klein VIP Entrance at the Northwest Corner of the arena on Atlantic Avenue. Gates open 1 hour prior to the start time of Barclays Center events. Barclays Center offers suites on two different levels; A level and B level. 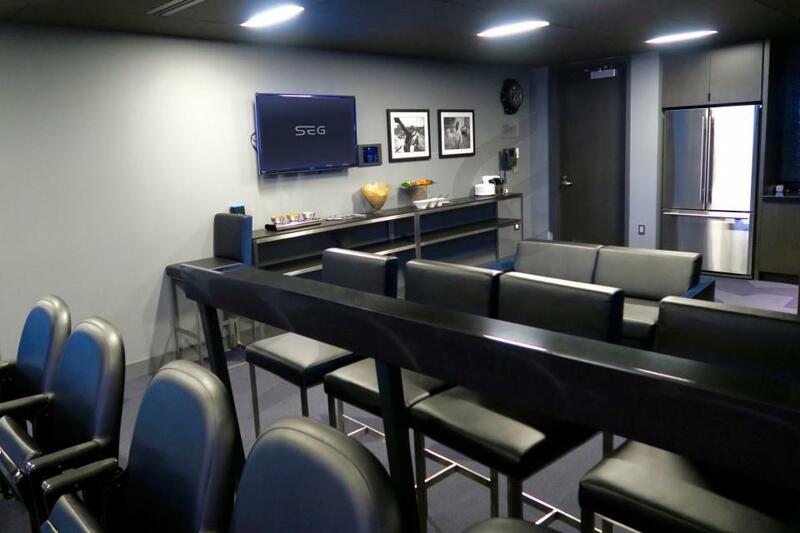 Suites at Barclays Center have various configurations and are equipped to host groups ranging from 10 to 64 guests. 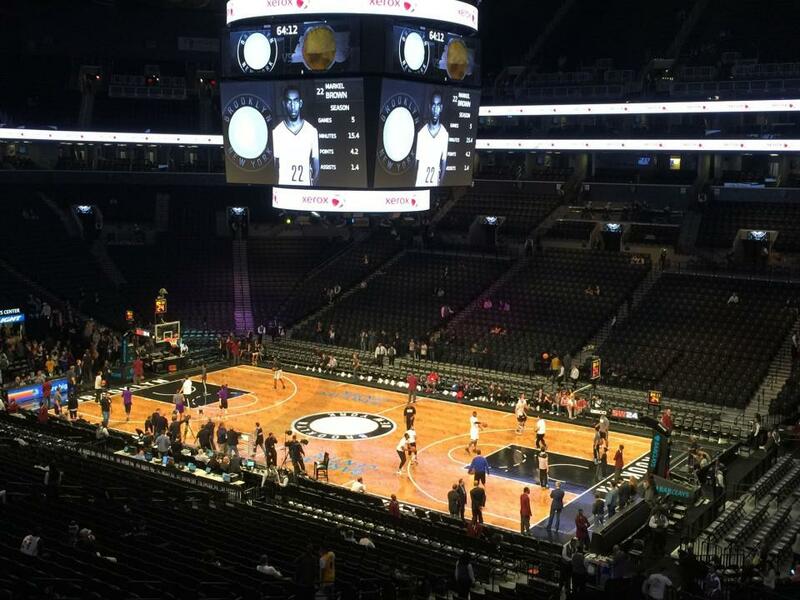 The price of a suite at Barclays Center varies by day of the week and opponent. The cost of a typical Nets or Islander game is $2,500, which increases for premium opponents and post season games. The cost for concerts varies based on performer. In suite catering is available in all suites at Barclays Center and you have full control over the menu and budget. The menu offers various packages and a la carte items, and it is typical to spend around $1,500 on catering for a Barclays Center event. The key factors are the size of your group, amount of alcohol being consumed and the type of food you order (ball park favorites versus higher end fare). 40/40 Club - Located on the club concourse, The 40/40 Club is an upscale sports bar, where you can grab a drink or enjoy a full sit down meal before the game or concert. 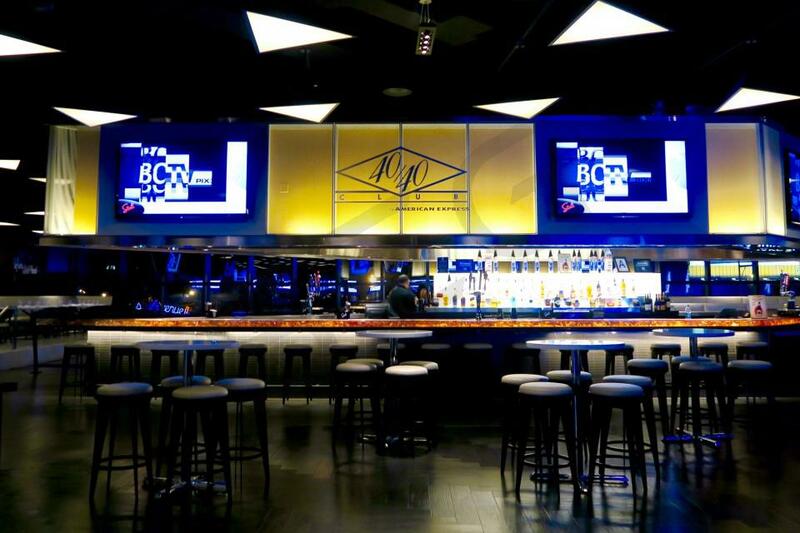 TicketsNow Club and Infor Lounge - Located on the club concourse on opposite sides of the arena, these clubs offer Barclays Center guests a full bar, high end concessions and plenty of seating for your group enjoy their food and drinks. There is no right answer here, and it ultimately boils down to what others in your group will be wearing. If it’s a corporate event, many guests will likely be dressed in business casual attire. However, it’s not uncommon for guests to wear jerseys of their favorite player, jeans, or even shorts on a hot day. 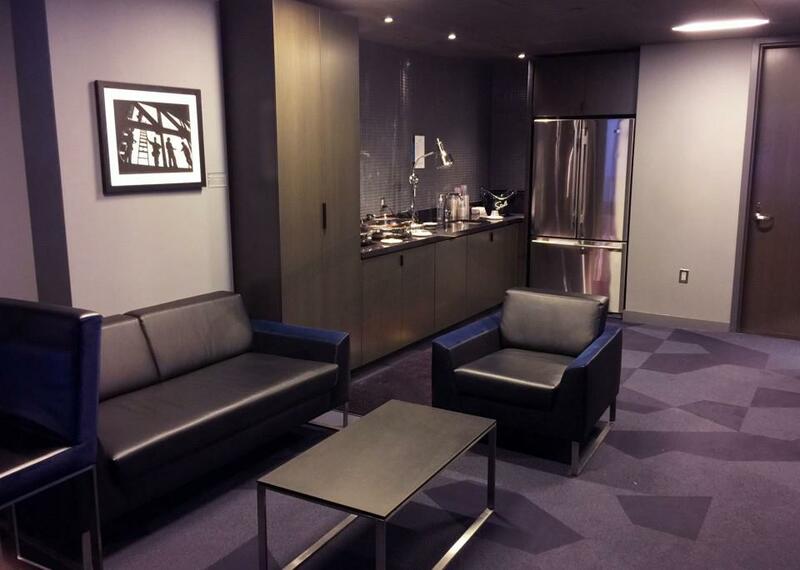 The luxury suites at Barclays Center are climate controlled and have a coat closet for storage. All fans must pass through a metal detector prior to entering Barclays Center, and the following items are prohibited: external flash camera units, interchangeable/detachable camera lens, recording devices, laser pointers, illegal drugs/substances, noise making devices, fireworks, flashlights, optical illusions, signs/flags/banners larger than 11x17, balloons, unapproved pamphlets/handouts/ads, patrons without shoes or shirts, flowers, selfie sticks, poles/signs affixed to poles, outside food or beverage, oversized bags or backpacks, beach balls, projectiles, skateboards, rollerblades, cans, bottles, pointed tip umbrellas, pets (other than service animals), laptops, tablets, coolers, ice chests, glass/metal/plastic containers, masks and signs, posters or garments with explicit language. Barclays Center is also easily accessible via The Long Island Railroad and 2, 3, 4, 5, B, D, N, R, Q subway lines. The Brooklyn Nets enter 2018-19 with playoff aspirations for their young squad. Improvement across the board by Brooklyn’s young players, coupled with the return of Jeremy Lin, could make the Nets a dark horse for the playoffs in a weak Eastern Conference. Expect Brooklyn to play an entertaining brand of basketball with a fast pace and lots of three pointers. D’Angelo Russell is the wild card in which the Nets organization hinges on. As he enters his fourth professional season, will Russell develop into a star? This season will be huge for Russell to prove he is a cornerstone for the franchise to build around. Russell is just one piece of a loaded backcourt for Brooklyn. Fan favorite Jeremy Lin returns from last year’s gruesome knee injury that he suffered on Opening Night. Lin will likely be the team’s starting point guard and run the show in head coach Kenny Atkinson’s offense. Spencer Dinwiddie will also play a significant role in Brooklyn’s lineup after a breakthrough 2018 season which saw Dinwiddie finish third in the Most Improved Player voting. Dinwiddie carried the offense throughout much of last season when Lin and Russell were hurt, showing improvements with his jump shot and ability to attack the rim. Other guards who expect to see playing time are Caris LeVert, Allen Crabbe, and Joe Harris. The Nets hope LeVert can turn into a future All-Star, which his talent the past two seasons certainly suggests he can. Meanwhile, Crabbe is one of the best three point shooters in the NBA, and Harris re-signed with the team in the off-season after improving tremendously under Atkinson last year. Brooklyn is thinner in the frontcourt, where depth is limited behind DeMarre Carroll, Rondae-Hollis Jefferson, and Jarrett Allen. There are plenty of reasons to be excited about big man Jarrett Allen, who showed flashes of serious potential last year as a rookie. Allen has freak athleticism and excels at rocking the rim off the pick and roll. With a 1970’s-esque afro and no shortage of highlight dunks, Jarrett Allen is quickly becoming a fan favorite in Brooklyn. Signs are finally pointing up in Brooklyn, as there is once again a reason to be excited about Nets basketball. General manager Sean Marks has done a tremendous job acquiring young talent with the limited assets he started the job with. Head coach Kenny Atkinson has proved he is the perfect coach for this team, embracing modern styles of play and emphasizing player development. Next summer the Nets will have a ton of cap space and their own first round pick for the first time in what feels like forever, putting an end to the infamous Boston trade. 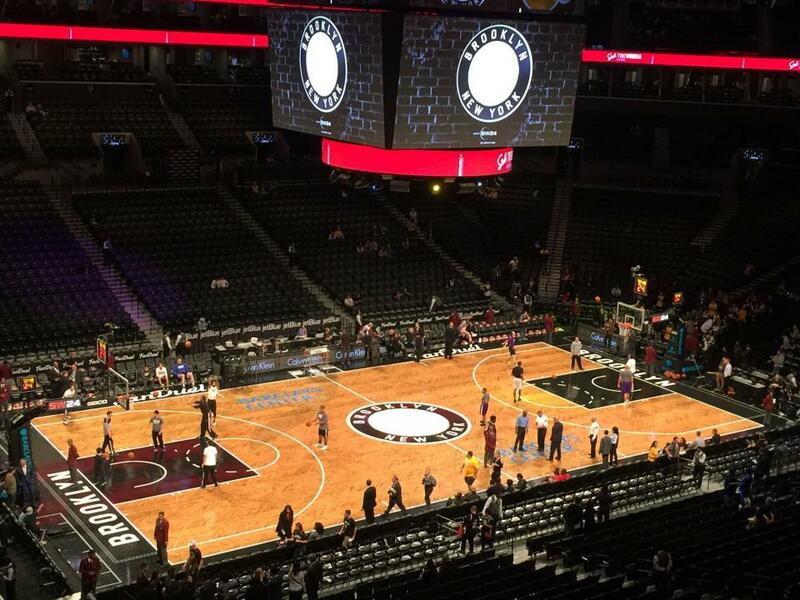 Watch the Brooklyn Nets live at Barclays Center in the comfort of a private luxury suite. Your suite experience will include VIP parking, an in-suite attendant to cater your needs, upscale furnishings, HDTVs, and excellent views of the court. Barclays Center suites are a great way to entertain clients or simply treat family and friends to a Nets game. GM Sean Marks has pulled together a roster full of interesting young talent. Rondae Hollis-Jefferson, a 2014 first-round pick, shows promise as an athletic stopper on the wing with some offensive upside, while Chris McCullough, the Nets other first-round pick, has shown flashes of potential this past season season. McCullough fits the mold of a playmaking four with the tools to stretch the floor, make plays off the bounce and finish at the rim. The Nets also added former number two overall pick D'Angelo Russell to the fold in a trade with the Lakers. Russell is a gifted guard with tremendous upside, and will be given every opportunity to prove himself as the face of the franchise. As far as veterans go, the Nets have a couple who standout. Jeremy Lin is still capable of being a solid starter at the point guard position. It will be interesting to see if head coach Kenny Atkinson thinks Lin and Russell can play together, so expect to see him get creative with the number of lineups he sends out on the floor. The Nets are a team loaded with young players ready to make an impact. With Russell leading the way, Brooklyn is home to one of the teams of the future. You can see the Nets take the court at the Barclays Center. The Barclays Center is one of the premier venues in the NBA. A Nets suite will include VIP parking, a personal suite attendant, HDTVs, upscale furnishing and comfortable seating for the game. Fans who purchase a luxury box for a Nets game will also get private entry into the Barclays Center via the VIP Entrance, and exclusive access to the bars and restaurants on the suite level. It was an up and down year for the Brooklyn Nets last season. The Jason Kidd experiment got them to the second-round in the playoffs but ultimately didn’t work out. The Nets turn to a new head coach in 2014-15 in Lionel Hollins. Hollins right away has said the key to his team’s success will be based on their toughness, aggressiveness and physicality. Veterans Deron Williams, Joe Johnson, Kevin Garnett and Brook Lopez are all back this season. Health remains to be the biggest factor for the Nets. If Williams and Lopez can remain healthy there’s no reason why the Nets can’t be one of the toughest teams in the Eastern Conference. Mason Plumlee proved he’s ready for big minutes if one of the big men go down. The Barclays Center is one of the premier venues in the NBA. Suites in the Barclays Center can accommodate groups as small as 10 people. A Nets suite will include VIP parking, a personal suite attendant, HDTVs, upscale furnishing and comfortable seating for the game. Fans who purchase a Nets luxury box will also get private entry into the Barclays Center and exclusive access to the bars and restaurants on the suite level. After a rough start under new head coach Jason Kidd, the Brooklyn Nets have turned the corner. A hot January with wins over the Miami Heat and Oklahoma City Thunder show that the Nets have what it takes to compete with the NBA's best squads. The team has fought injuries to Deron Williams, Brook Lopez, Andrei Kirilenko and Jason Terry. The Nets are a team of veterans and will rely on players like Paul Pierce, Joe Johnson and Kevin Garnett to help push them into the playoffs. 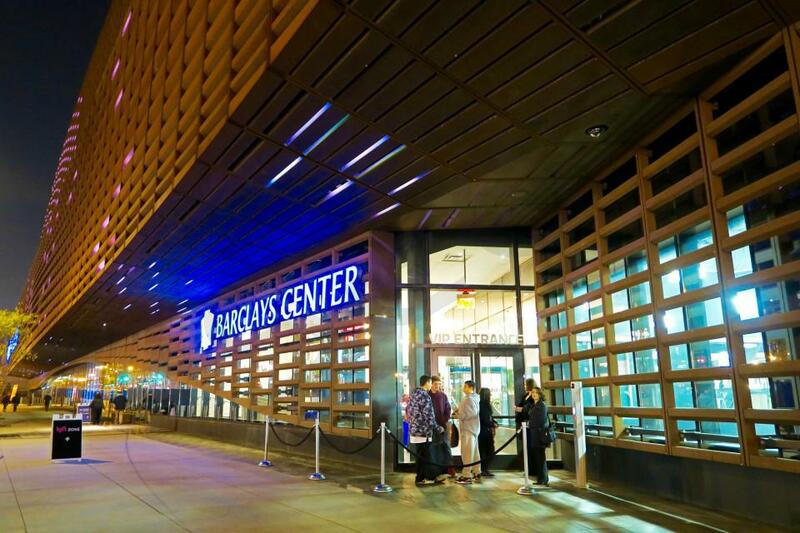 Enjoy the event from the comfort of a private luxury box in the Barclays center. 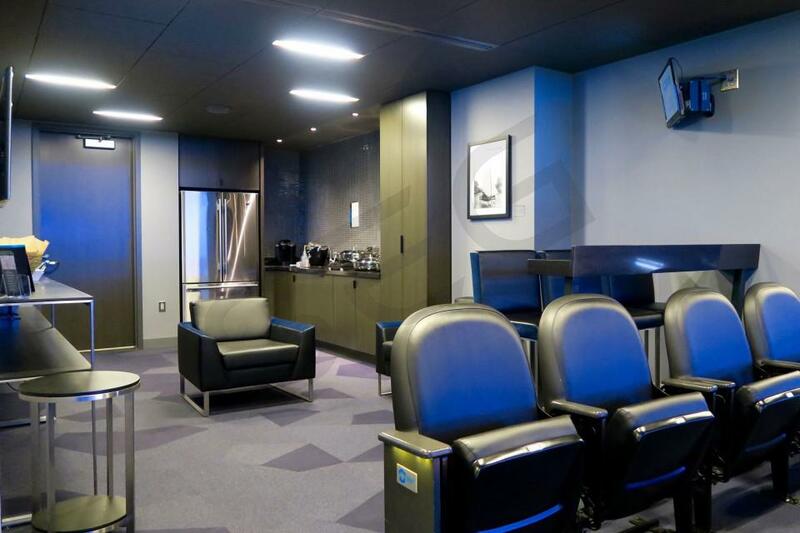 Suites in the Barclays Center include 10 tickets, VIP parking pass, and a personal suite attendant. You have an option to purchase up to 6 additional suite tickets. Thank you for signing up for specials at Barclays Center. Enter your email address below to stay in touch. We'll sign you up for our newsletter, which will inform you of the latest inventory and events at Barclays Center. We promise we will never sell or distribute your information. The seating chart below shows where the Brooklyn Nets suites at Barclays Center are located.